Welcome to our Wrigley Institute Student Research Blog! Here, we feature some of the incredible graduate and undergraduate students conducting research with us throughout the year. 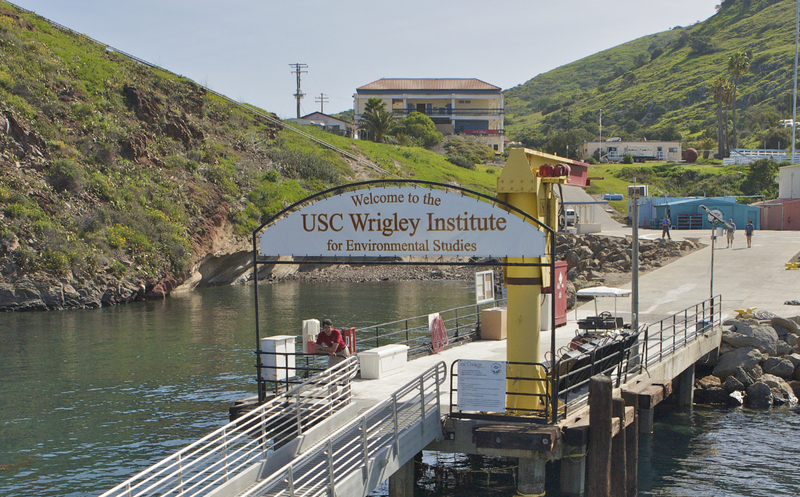 This includes our always-stellar Wrigley Marine Science Center Fellows - graduate students from USC and universities nationwide who do fieldwork at our Catalina marine lab each summer. Their work ranges from marine ecology to benthic sediments, to studying ancient water sources used by native peoples, to drone technologies, and even applied uses of kelp as biofuel. Back on main campus in L.A. are our Norma and Jerol Sonosky Sustainability Fellows. These grad students conduct applied research at the interface of humans and the environment. Through their studies, we are excited to learn more about solar power, alternative fuels, pollution solutions, and sustainable paths for the future. We are also happy to feature the work of our annual REU (Research Experiences for Undergraduates) program. Each summer, undergrads from across the country spend 10 weeks doing mentored research on Coastal Ocean Processes at Catalina. Often, animation students from USC’s Cinema school or interns will join them, collaborating with science teams to enhance their research. During the year, we continue to feature our student community including undergraduate interns and researchers, and our graduate and postdoc Bakus and Hagenah Fellows. Follow along as we showcase this amazing student talent at the heart of the USC Wrigley Institute!